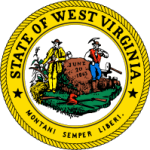 The code in chapter 48 provides everything you need to know about child support in West Virginia. If you want to learn about the terms which govern how child support should be provided, then you can get this from the guidelines set. The rules are helpful to the judges who are obligated to adhere to those regulations when deciding on a child support case. There are factors such as the gross income of the parents and number of children which are considered when computing for child support.